It's a one-time payment of 3,000 euros. Migrants arrive at the first registration point for asylum seekers in Erding near Munich, southern Germany, on Nov. 15, 2016. BERLIN — Germany wants to support rejected asylum-seekers who voluntarily move back to their home countries with a one-time payment of 3,000 euros ($3,570). 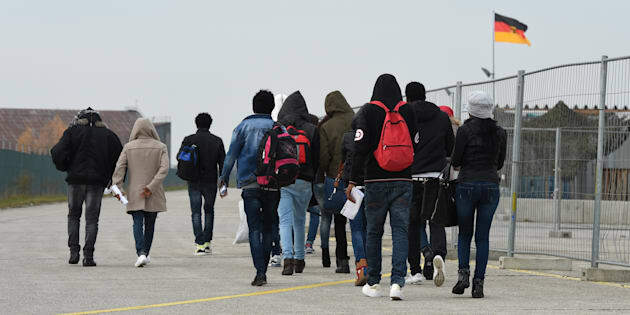 But the Bild am Sonntag newspaper reported Sunday that 8,639 migrants participated in the returnee program between February and October, even though there are about 115,000 rejected asylum-seekers in Germany — many of whom can't be deported for humanitarian reasons.